This seminar (see below) on Defensible Disposition may be of interest. Summary: How organizations can dispose of legacy records and information in a defensible manner. Join us on April 21, 2010 for our next Chapter meeting. The topic is "DEFENSIBLE DISPOSITION" - How organizations can dispose of legacy records and information in a defensible manner. SUMMARY: As organizations develop or enhance their records policies and supporting retention schedules, they are faced with the challenge of applying the retention and disposition schedule to vast collections of legacy records, information and data (“materials”) in both electronic and hardcopy formats. Often times the legacy materials lack the sufficient detail needed to apply an explicit records category and related disposition rule, or the shear volume makes this largely manual process impractical and too costly. Therefore firms must 1.) develop a strategy that demonstrates a thoughtful review of the materials, and 2.) document a reasonable process to dispose of the materials in a defensible way, balancing the organization’s statutory, regulatory, and operational requirements and risk tolerance. The results achieved can represent significant reduction in the costs to store legacy hardcopy and electronic materials, and can reduce the cost and potential exposure of having to review, identify, and produce responsive materials. 2.Articulate the process steps necessary to sustain defensibility. 3.Develop strategies to characterize the legacy records, information and data so that disposition rules can be consistently applied. BIO: Terrence (Terry) Coan, CRM is a Director at Hildebrandt Baker Robbins, a globally recognized consulting firm providing strategic, business process, and technology consulting services to law firms, corporate legal departments, and government agencies. His practice focuses on implementing or enhancing enterprise records management programs and he has consulted for clients in the financial services, government, hospitality, insurance, legal services, pharmaceutical/biotech, and real estate development industries. 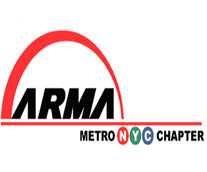 Terry has 25 years of experience in the profession, as is a Past President of ARMA International, and is a 2005 recipient of the ARMA International Distinguished Service Award. THIS EVENT IS SPONSORED BY RELIABLE PAPER RECYCLING COMPANY.